The artistic combination of William Schwenck Gilbert and Arthur Seymour Sullivan was the late 19th-century predecessor of the mid-20th century’s glorious double-acts of Rodgers and Hart, and then Rodgers and Hammerstein. Interesting that in the case of the English Victorians the name of the librettist comes first. By the time we reach the next century in America it is the composer whose name precedes, and this remains the case up to the present day. And back on these shores, it is always the name of composer Andrew Lloyd Webber, in his eclecticism the successor of Sullivan, which always appears first before that of his librettist in whichever new musical he presents to the public. Eclecticism was certainly one of Sullivan’s characteristics. His wonderfully-crafted music abounds with an acute awareness of Handel’s latent monumentality, the bel canto writing and ensemble structures of Rossini, Donizetti and Bellini, and the later high drama of Verdi (all of them huge at Covent Garden’s Royal Opera House during Sullivan’s lifetime), and it breathes the Gothic shudders of Weber, as well as the charm of Schubert, even allowing itself at times the inwardness of that composer. 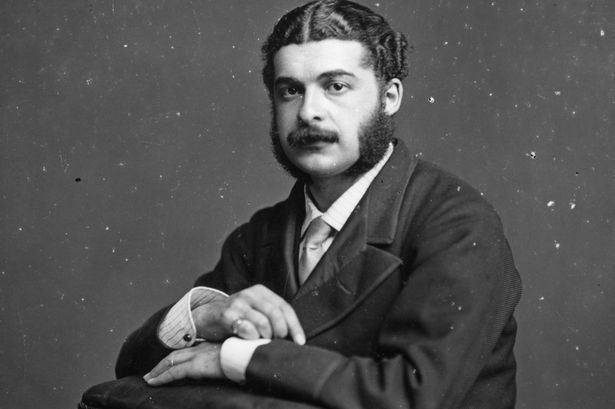 Schubert in fact owes quite a debt to Arthur Sullivan, who, together with George Grove (he of the indispensable series of Dictionaries of Music and Musicians), rescued in Vienna in 1867 the incidental music that that composer had supplied to the stage play Rosamunde, and long considered lost. Apparently the score-sheets were found wrapped as protection around the trunks of fruit-trees. Sullivan’s partnership with Gilbert began in 1871, when they collaborated for a Christmas piece, Thespis, at London’s Gaiety Theatre (the score is now lost). Trial by Jury followed in 1875, and its success attracted the attention of the impresario Richard D’Oyly Carte, who formed a company expressly for the purpose of performing works by Gilbert and Sullivan. The Sorcerer and HMS Pinafore were the next fruits from the duo, and Pinafore had such success in the USA that D’Oyly Carte entrusted the official premiere of The Pirates of Penzance to New York. And so successful was the pairing of librettist and composer that during the London run of Patience in 1881 the impresario opened the Savoy Theatre (next door to the plush hotel in the Strand), where the subsequent ‘Savoy Operas’ were presented. Not the easiest personality with whom to deal, Sullivan eventually had a falling-out with Gilbert, and worked with other librettists (he and Gilbert did have an eventual reconciliation), on works which never really hit the spot in terms of public acclaim. But the Savoy operas, a term which includes the G&S collaborations created prior to the establishment of that theatre, have become permanent fixtures in the affections of an adoring public, and the Yeomen of the Guard, premiered on October 3, 1888 holds a very special place as the nearest the duo ever came to creating a “grand opera”. Subtitled “The Merryman and his Maid”, this opera set in the Tower of London sometime within the Tudor period tells of hidden and self-sacrificing love, and its dramatic complexities could easily rival any of the bel canto or early Verdian plots, confused identities and all. The prime mover and central character is the jester (a jester in the grim Tower of London?) Jack Point, a Buttons-like figure who has the resource to fix everything, but whose love for the leading lady Elsie remains unrequited and ultimately vanquished by the reprieve of her hitherto doomed husband Colonel Fairfax. The role of Jack Point was famously taken by Tommy Steele in a City of London Festival production in the late 1970s. Gilbert declared it “the best thing we have done”, and Sullivan told the Strand Musical Magazine that it was his favourite opera; perhaps he had fond memories of composing the overture during a final rehearsal, the musicians having to play off barely dry manuscripts, and comparing himself with the Mozart who wrote out the Don Giovanni overture just as the dress rehearsal of that opera was about to begin. Rapturously received by press and public at its London premiere, The Yeomen of the Guard opened at the Casino Theatre, New York, just a fortnight later, and ran for 100 performances. In 1889 it received productions in Melbourne, Australia and Vienna. A few years later it toured in South Africa. But I end with a cryptic comment from Sullivan himself, whatever his success as a composer of opera. With the last part I can certainly agree. * John Wilson conducts the CBSO, soloists and University of Birmingham Voices in The Yeomen of the Guard at Symphony Hall on March 4 (7pm). Details on 0121 780 3333. * Sunday 5: Oliver Knussen conducts the Birmingham Contemporary Music Group at the CBSO Centre in Berkley Street in a programme of established greats (Elliott Carter, Pierre Boulez, Peter Maxwell Davies), plus the world premiere of BCMG’s latest Sound Investment commission, Helen Grime’s Piano Concerto, Huw Watkins the soloist (7.30pm). * Sunday 5: Richard Laing conducts the Sinfonia of Birmingham in Schoenberg’s Chamber Symphony no.2, the Mendelssohn Violin Concerto (soloist Kate Suthers), and Schumann’s Second Symphony at the wonderful Ruddock Performing Arts Centre at King Edward’s School, Edgbaston (7.30pm). * Tuesday 7: The great French-Canadian pianist Louis Lortie plays works by George Benjamin and the entire 24 Preludes by Chopin at Birmingham Conservatoire (1.05pm).